Thank you to all our attendees, speakers, presenters, facilitators, sponsors and exhibitors for making this year's conference a huge success! Check out the latest state of the art technology, interactive displays, and the chance to share ideas with peers in related fields. The annual conference put on by MassDOT is the largest transportation innovation conference in Massachusetts. With over 60 sponsors and exhibitors, the conference will have countless opportunities to meet with experts, as well as interactive demonstrations and engaging displays of cutting edge technology. The 2019 conference will once again include the addition of the Massachusetts Community Transportation Coordination Conference as part of the MassDOT Transportation Innovation Conference. The inspiration behind combining conferences is the increasing interest among stakeholders in collaborating to address transportation barriers for pedestrians, seniors, and people with disabilities. This combined event will be an invaluable opportunity for state, MPO/local, transit agencies, researchers, human service agency staff, advocates, planners and private sector practitioners to share ideas, sponsor peer-to-peer learning, and collaborate on issues of mutual interest. The 2-day conference will offer more than 40 breakout sessions! Come learn about innovations being made in the fields of Construction/Materials, Planning/Design, Operations/Maintenance, Safety/Mobility, Technology, and Policy. The event is open to all transportation professionals including MassDOT, municipalities, consultants, contractors, vendors and manufacturers, MPO/local, transit agencies, researchers, human service agency staff, advocates, planners, and private sector practitioners. MassDOT’s 2019 Transportation Innovation Conference features a Community Transportation and Mobility track, focusing on creative approaches to improving access, mobility, and transportation services for older adults, people with disabilities, and low-income commuters in Massachusetts. This track grew out of the Massachusetts Community Transportation Coordination Conference, formerly a stand-alone conference held annually in early May. MArtap Scholarship Program: Open to all organizations in rural and non-urbanized areas – including Councils on Aging and other transportation providers. 1. Register and pay for the Transportation Innovation Conference by clicking on the "Registration" tab at the top of this page. 2. Apply for the MArtap scholarship for reimbursement at www.mass.gov/forms/martap-scholarship-application. Fee Waiver Application: Open to individuals with disabilities, seniors, and other self-advocates OR organizations that are current or recent recipients of grants through MassDOT’s Community Transit Grant Program. Click on the link provided to apply for the Transportation Innovation Conference fee waiver: Fee Waiver Application Form. You do not need to register for the conference. If you receive the fee waiver, you will be automatically registered. If you do not qualify under these criteria but need assistance paying the conference fee, please email Rachel Fichtenbaum at rachel.fichtenbaum@state.ma.us to be added to a waitlist should additional funds become available (not guaranteed). Register Today! Click on the Registration tab above. This event is accessible to people with disabilities and individuals with limited English proficiency. If you need a reasonable accommodation (such as American Sign Language Interpreters, assistive listening devices, handouts in alternate formats, etc.) and/or language assistance (such as translated documents or an interpreter) to fully participate, please contact Brenda Codella at bcodella@umass.edu or 413-522-6434 at least 14 days prior to the event. Such services are provided free of charge. Registration cancellations must be received within 7 days of the event or you will be invoiced for the registration fee. The 3M Transportation Safety Division Roadshow is coming! Walking is a component of most trips – and an important travel mode in and of itself. Join representatives of WalkBoston, the Massachusetts Commission for the Blind, and the Veterans’ Administration for a workshop on the elements of a walkable community. Walkable communities promote health, access, community engagement, independence, and quality-of-life for older adults and individuals with disabilities. And when communities meet the needs of seniors and people with disabilities, all residents benefit. Using examples from projects underway in communities around Massachusetts – including urban, suburban, and rural contexts – presenters will highlight ways to improve the built environment, as well as policy changes that can improve walking safety, access, and comfort for older adults and people with disabilities. New technologies such as X-ray Fluorescence (XRF) and Fourier Transform Infrared (FTIR) offer a non-destructive analytical technique to determine and verify material composition, providing MassDOT with a level of confidence related to product quality and long-term performance in less time. Using these technologies on select construction materials, MassDOT will be able to compare the material in the field to what is on file from the initial approval process. The ability to quickly confirm that materials used on-site meet contract specifications minimizes the risk for noncompliance. This presentation will illustrate the various materials that are being tested in the lab using these innovative technologies and the processes that have been developed. The MassDOT Highway Division will introduce its newly updated Stream Crossing Handbook, which revises and improves the 2010 handbook, Design of Bridges and Culverts for Wildlife Passage at Freshwater Streams. The handbook updates information on current federal and state regulations and addresses evolving MassDOT practices for stream crossing design and installation. It also introduces new reference materials for stream crossing design to accommodate wildlife passage, to consider climate change, and provide guidance for municipal personnel on MassDOT standards and review process. New content has been developed to help municipalities develop designs for local projects, including a summary of the MassDOT review process under MGL Chapter 85-Section 35, with links to MassDOT’s current submittal requirements. In addition, the handbook now includes illustrative designs of selected prototypical culvert and small bridge structures, with links to CAD drawing files, to help in the selection and design of structures that meet MassDOT standards and regulatory requirements for wildlife passage. David Nyman, PE, Comprehensive Environmental, Inc.
Nearly ten years after the docked bike share revolution began in North America, dockless bike share launched in 2017 as a new innovative business model for funding and operations. Then, in 2018, dockless e-scooter share rolled out. These shared mobility systems are part of a larger shift toward expanding options for first and last mile access to transit and on-demand transportation, and fueling the need for more dedicated on-street facilities for bikes and scooters. The rate of adoption has been remarkable – in just one year Bird and Lime reported 36 million scooter and bicycle trips. Such unprecedented growth has presented cities and transit agencies with new work to address permitting, design, equity, curb management, and more. Learn more from a variety of perspectives: companies, planners, municipal, MassDOT and MBTA. Presenters: Heather Hamilton, Select Board Member for the Town of Brookline, MA/BSC Group, Inc. According to the National Highway Traffic Safety Administration, connected vehicle technology could reduce crashes by 80%. This session will explore the challenges that come with creating connected infrastructure and will provide information about what is currently being done in Massachusetts. This session will also provide an overview of the US Route 33 Smart Mobility Corridor project near Columbus, Ohio. This 35-mile corridor offers a unique opportunity to deploy and test smart vehicle technology in various settings, including urban, suburban, and rural; and roadway types, including local, arterial, and collector streets and multi-lane divided highway ramps. The project includes the installation of nearly 100 dedicated short-range communication (DSRC) devices, equipping between 600 and 1,200 vehicles with connected vehicle technology, developing V2I applications, and developing a smart network to manage the data flows and system. Kelley Square is a complex intersection of heavily traveled streets in Worcester, which has been characterized by the public as "unique", "special" and "weird". Between 2013 and 2016, Kelley Square represented the single location with the highest number of crashes in Massachusetts, and there is currently little in the way of multimodal accommodations for users wishing to travel through the area. MassDOT is currently advancing a project to improve safety and operations at this location. This session will detail the robust/innovative public engagement and design development process that has led to identification of a first of its kind for Massachusetts – the Hybrid Roundabout (aka "peanut") Preferred Alternative. This alternative will provide clearer definition and delineation of traffic movements, calm vehicular traffic, enhance accommodation for non-vehicular users and enhance neighborhood connectivity and access/egress to surrounding commercial and business interests. The session will also highlight the innovative tools such as 3-D visualization and operational simulation modeling used by the design team to achieve consensus on the identification and selection of the Preferred Alternative. Low-income individuals need transportation to access jobs and other community services. Hear from two efforts – a nonprofit in Worcester, and a transit authority in Southern Maine – that are using donations to purchase bus passes for people in need. We’ll also hear from a non-profit in Framingham that partners with its local transit authority to provide transportation – while helping clients prepare for careers in transportation. Including two project presentations, the first will highlight the design process used for the plan development of Bridge 2931 in Preston, Connecticut. This structure was one of the first installations in the state that was designed to rely on Ultra High Performance Concrete (UHPC) shear keys, instead of transverse post tensioning cables for its continuity between beam elements. The presentation will discuss the advantages of this system over conventional construction, and show what sorts of geometries lend themselves well to using UHPC shear keys instead of post-tensioning cables. The second presentation will feature the Darlington Upgrade project, a $620 million project to improve an important transit corridor in Adelaide, Australia. Jacobs was responsible for the analysis and design of a continuous, three-span, curved steel tub-girder bridge, carrying both a multi-use path and vehicular traffic over a major expressway. The project was innovative in its use of double composite concrete construction. To minimize expressway closures, the design-build team constructed the bridge at a nearby offsite location and moved it into place using self-propelled modular transporters (SPMTs). This presentation will focus on the considerable design effort, planning, and analysis for the SPMT move, as well as the lessons learned. When engineers and planners proposed narrowing Route 3A east of the rotary in Hingham, many people were skeptical. How could fewer lanes help alleviate safety concerns while maintaining traffic capacity, especially during the peak summer days on the primary route to and from Nantasket Beach in Hull? To test the design, MassDOT and the Town of Hingham, working with engineers from Design Consultants, Inc. and other firms, implemented a pilot program that used delineators to emulate future conditions. The team then employed multiple traffic tracking technologies, including Bluetooth, video and radar, to successfully demonstrate the feasibility of the proposed road diet. In this session, representatives from MassDOT, the Town of Hingham, and Design Consultants, Inc., will detail the challenges they encountered and the path the team traveled to reach consensus on a workable, affordable and effective solution. Presenters: David Giangrande, P.E., Design Consultants, Inc. Shared use paths are intuitively attractive for transportation and recreation, and they support many environmental, transportation and public health goals of the Commonwealth, but recurring challenges face communities and proponents who want to build them. MassDOT, DCR and EEA are working together as MassTrails to help move projects from ideas to implementation. This session will explore the benefits of shared use paths and discuss the MassTrails Shared Use Path Planning and Design Guide under development; we will also delve into how the MassTrails team and MassTrails Grant Program are improving key partnerships between the state, municipalities, path proponents and consultants – and what this highly-productive model of interagency cooperation may offer to the Commonwealth. Camilla Dartnell, Kittelson & Associates, Inc. The first presentation highlights research by the Bridgewater State University GeoGraphics Laboratory to help improve the safety and security of small suburban and rural commuter rail parking lots through unmanned aircraft systems (UAS). The GeoGraphics Laboratory’s project, funded through the National Academies of Sciences, focused on developing and field testing an approach to address these issues using a combination of small UAS (sUAS) for remote sensing, aerial imagery analytics, and cloud-based data analytics, made possible through state-of-the-art communications infrastructure. The second presentation will discuss a UAS research initiative by MassDOT in collaboration with the UMass Transportation Center. The objectives of this research are two-fold: (1) Develop practical procedures and protocols for MassDOT to integrate UAS technology into bridge and rail inspections presently carried out by traditional means, and (2) Conduct a pilot test of the developed procedures and protocols at a bridge or rail inspection site. The third presentation will discuss recent MassDOT Aeronautics Drone Pilot Program shared services mission operations. Activities to be covered include an overview of the breadth of missions across internal and external state agencies. Additionally, a review of the State House Dome inspection mission will include platform selection, sensors, flight operations, team coordination, and analytical products. New Hampshire is amping up its mobility management and statewide coordination efforts. Rhode Island just hired a mobility manager, and the Greater Portland Council of Governments received two national grants this year in support of regional and statewide mobility management efforts they are undertaking. Let’s talk to our neighbors about their efforts to see what we can learn and where we might partner across state lines. For decades, MassDOT has relied on an antiquated system of hand-written test report forms, redundant data entry, and numerous decentralized databases to perform its daily functions related to material testing. This inefficient method results in enormous paper consumption, misfiling of documentation, delayed contract certification, sample misidentification, and lack of test data analytics. To resolve these inefficiencies, MassDOT is employing a Laboratory Information Materials Management System (LIMMS) to oversee, analyze and track materials electronically. This presentation will illustrate the implementation strategy for LIMMS including how materials testing equipment will be linked to the software for seamless data collection and the improvement of turnaround time related to material processing, testing, analysis and final acceptance. Equity is a key concern of this administration, and MassDOT is working to incorporate equity considerations into all of our policies, plans, services, and initiatives. We are examining the challenges to equity in access to services and destinations that are newly created or perpetuated by changes in the transportation marketplace, including technological innovations and land use development policies, as well as the impacts of transportation policies and infrastructure on transportation outcomes. This panel aims to raise the profile of some of these barriers and describe ways that MassDOT is being proactive about setting policy, developing tools and metrics, and delivering services that are not only mindful but responsive to issues of equity in transportation. During one weekend in 2018, MassDOT replaced the bridge carrying Massachusetts Avenue over Commonwealth Avenue in Boston in just 73 hours, more than 30 hours ahead of schedule. Working with MassDOT, Stantec developed an innovative approach using early utility relocation and accelerated bridge construction techniques to replace the bridge quickly, while minimizing impacts to the traveling public and the local neighborhood. This session will present the innovations that were applied on this project, including use of a separate contract for utility relocations, specially designed precast concrete elements to facilitate rapid construction in the restricted urban environment, and avoiding impacts to surrounding park land through a design approach that established work zones in the existing right-of-way. Representatives of the Rhode Island Department of Transportation (RIDOT) and MassDOT will provide a brief overview of connected and automated vehicles, and discuss how automated driving systems (i.e. self-driving cars) are being tested and researched in the two states, in partnership with the system manufacturers, transit agencies, and municipalities. RIDOT will highlight the first initiative of its Transportation Innovation Partnership (TRIP), the Little Roady Autonomous Shuttle Pilot Project. Working with the startup May Mobility and local partners, the project is bringing electric autonomous shuttles to Providence. This is enabling RI to test and research a range of factors to better understand the potential of new technology to improve mobility options, and will help the State prepare for these changes. MassDOT will share information about the Commonwealth's application process for permitting testing of automated driving systems in well-defined environmental conditions, on approved municipal and state roads across the Commonwealth, and will outline opportunities for municipalities and road owners to participate and facilitate testing. Ryan Jacobs of nuTonomy, a developer of automated vehicles, and currently testing in the Boston area, will provide an overview of the company’s local and international activities. As part of the recently released 2018 Pedestrian and Bicycle Transportation Plans, MassDOT is taking a data-driven approach to prioritize locations for new projects that address safety, equity, accessibility, access to transit, and critical gaps in connectivity. Learn about the new methodology and new public engagement strategies that informed the analysis, how the outcomes are being used to transition quickly from planning to implementation in 2019, and a new count pilot to help track progress. Access to appropriate transportation is a core component of what makes a community welcoming and livable for residents of all ages – including those with dementia. Communities and regions around the Commonwealth are working on age- and dementia-friendly initiatives, and last year, Massachusetts built on local progress and joined the network of AARP Age-Friendly States with a multi-year action plan. In this session, presenters will discuss local and statewide initiatives to promote age- and dementia-friendly transportation systems, as well as examples of how these efforts are promoting local mobility and reducing social isolation across the Commonwealth. This session will include panel members from the concrete industry and MassDOT. Members of American Concrete Pavement Association (ACPA), Massachusetts Concrete & Aggregate Producers (MaCAPA), and National Ready-Mix Association will present on the benefits of concrete pavement as construction strategies. Presenter Bill Cuerdon, former Director of the NY chapter of the ACPA has 30 years of experience with the NY DOT, and a wealth of knowledge in many areas including the design and construction of concrete pavement. There will be an overview of different design, material, and construction specifications and techniques of full depth and overlay projects. Information on projects from New York and midwestern states will also be shared. MassDOT personnel Andrew Paul and Lyris Liautaud will discuss three projects (located in District 2, District 3 and District 4) that have been selected to use concrete pavement solutions. This presentation details the execution and results of a comprehensive pile load test program, offers guidance for the potential use of taper tube piles on projects across the New England region, and presents a unique case study where driven piles were value engineered to develop the optimal deep foundation solution. Presenter: Seth H. Hamblin, P.E., Principal Geosciences Testing and Research, Inc.
We live online – it is where we get our news, where we work and socialize, and where we share our opinions. While public engagement is a critical facet of each of our projects, it is traditionally conducted in a way that is at odds with our evolving digital world. Smart and authentic public engagement can not only inform design, but also enhance our relationship with the communities we serve. Join this interactive session as presenters and participants dive into some of the challenges and opportunities of strategic communications and how a new approach can change the way today’s public is engaged. Learn how to use technology to give voice to underserved populations, get inside the world of virtual public involvement, and learn how to pair digital tools with traditional outreach to engage new audiences. This session includes three presentations. The first will discuss MassDOT’s deployment of Portable Traffic Signals (PTS) to alleviate traffic congestion and assist with safety during a 2018 construction project on the Sagamore Bridge. This presentation will discuss the unique circumstances of the project, as well as take an in-depth look at PTS and associated technologies utilized on-site. The presentation will also discuss the use of PTS as an emergency-response tool for traffic management. The second presentation will focus on better hazard awareness for work zone safety, including a module on resources to prevent struck-by incidents with an emphasis on typical hazard scenarios, blind spots for major types of construction equipment, work zone safety construction equipment diagrams, swing radii, the penalty of unverified assumptions in work zone communications, and job hazard analysis. The final presentation will highlight the use of truck mounted attenuator (TMA) automation to improve work zone safety. Through a partnership with Kratos Unmanned Systems Division, Royal Truck & Equipment has developed the first autonomous TMA truck, known as the ATMA. This presentation will discuss the details of the ATMA and its safety benefits. Scott Heydt, Horizon Signal Technologies, Inc.
Fred Bergstresser, Royal Truck & Equipment, Inc. The 120-year-old North Washington Street Bridge over the Boston Inner Harbor needed to be replaced. The challenge was to create a Complete Street on a Gateway Bridge. The 100’ wide x 1087’ long structure carries 42,000 vehicles per day, heavy pedestrian traffic and numerous utilities from Boston’s North End and West End areas to Charlestown. The existing bridge was eligible for National Register of Historic Places listing, and in conformance with the National Historic Preservation Act, a Memorandum of Agreement (MOA) was signed by the Federal Highway Administration (FHWA), the State Historic Preservation Officer (SHPO), MassDOT Highway Division and the City of Boston. The agreement stipulated that the proposed replacement structure be a Gateway bridge, with architectural design elements incorporating the new structure into its surroundings, distinguishing the crossing as a unique place in itself, and include architectural design of structures, lighting, overlooks, separated bicycle lanes and other elements, to encourage use by people of all ages and interests. The design team, included the Boston Public Works Department, MassDOT, Alfred Benesch & Company, and Rosales + Partners, who developed a highly collaborative process, soliciting stakeholder feedback, while working within MOA constraints. Presenters will discuss this process and project results. Presenter: Edward Baumann, Alfred Benesch & Co. In 2016, 85% of all U.S. workers drove to their workplace. In other words, 128 million people drove a car, a van or a truck – mostly alone – contributing to road congestion, pollution, and greenhouse gas emission. The Federal Highway Administration, through the Congestion Mitigation and Air Quality Improvement Program (CMAQ), has funded transportation demand management (TDM) activities nationwide since 1990. Delivered regionally by 15 Transportation Management Associations (TMAs) east of I-495 and by MassRIDES for the rest of the Commonwealth, TDM activities focus on educating employers and employees about public transit and other healthy mobility options, tax credits, and provide incentives to counterbalance single occupancy vehicle use. On July 1, 2019, the way MassDOT distributes CMAQ funding will change. Please attend this session to learn about incentives and funding changes, and how the CrossTown Connect TMA, Middlesex 3 TMA, and the 495/MetroWest Partnership are already laying the groundwork for innovative employment transportation services. State DOTs are looking for data driven approaches to improve highway safety. Presenters will discuss the approach developed in Connecticut, which includes a custom Safety Management System based on Parts B and C of the Highway Safety Manual (HSM). Network Screening, Diagnosis and Countermeasure Selection Modules are currently in use by CTDOT. VHB presenters will also discuss the updated Crash Data Portal being developed for MA, which will enable users to access crash data in numerous ways. The compact downtowns of Massachusetts are attractive to infill development and walkable, transit-oriented lifestyles, but a lack of street parking has driven many communities to restrict new development through impractical parking requirements and the fear of burdensome traffic. Learn how this paradigm is being flipped on its head by treating curb spaces not as parking but as high-capacity terminals for accessing downtown, thanks to new mobility technologies. With smart curb management, development is increasing the person-carrying capacity of front-door parking over thirty times, by integrating ridesharing, micro-transit, e-scooters, shared bikes, and shared autonomous vehicles directly into their access profile. In addition to these new technologies, 2018 was a momentous year for bus riders in greater Boston, as municipalities around the region took bold steps to pilot elements of BRT (Bus Rapid Transit) in collaboration with the MBTA. Focusing on the Massachusetts Avenue pilot project in Arlington, this session will walk participants through the process of putting BRT elements along a critical and congested corridor, including development coordination with a multiagency working group, public outreach efforts, use of innovative BRT elements, design constraints, alternatives development, and selection of a preferred alternative. The Tower Road Bridge, programmed for complete replacement by MassDOT in FY 2022, spans the Chickley River approximately 100’ upstream of the confluence of the Chickley and Deerfield Rivers in Charlemont, Massachusetts. This confluence, coupled with the presence of an existing 2-span railroad bridge just 50’ downstream of the Tower Road Bridge, creates a hydraulically-complex bridge replacement project well-suited to be one of MassDOT’s first applications of two-dimensional (2-D) hydraulic analysis. The presentation will provide an overview of the unique hydraulic features of this crossing, explain the advantages offered by the use of 2-D modeling on this project, discuss model development, summarize hydraulic and sediment transport/scour analysis results, and wrap-up with lessons learned. Session 5, Room E: Construction Project Sequencing, the Customer Wins! The MassDOT Highway Division and the MBTA have been working to develop a more coordinated approach for the 2019 construction season and beyond. The goal is to have ongoing coordination efforts to maximize regional traffic mobility in the face of multiple highway, transit, municipal and private development projects that are reducing vehicular lane capacity and creating train and bus diversions. In 2019, a combined 125 projects will have impacts to the Greater Boston road and rail network. Working collaboratively, the MassDOT Highway Division and the MBTA will strategize future project sequencing to mitigate the overall impacts to the customer and ensure that construction activity on one road or transit facility will not place a severe burden on other roads and transit facilities. In the first presentation, the MassDOT Aeronautics Division will discuss how the big data challenges are being addressed through an effort known as the Drone Data Analytics and Cybersecurity Program. The program includes managing the voluminous amount of collected data (predominantly imagery and video). The MassDOT Aeronautics Drone Program team recognizes the need for a solution to support, 1) the management of UAS operations, 2) secure storage and analysis of the UAS sensor data, and 3) the secure dissemination of end products to MassDOT users and decision makers. The second presentation will discuss a collaborative UMass Lowell-MassDOT study on the use of unmanned aerial systems (UAS) in surface transportation applications, including highway traffic accident reconstruction, incident situational awareness, and post-disaster transportation system damage assessment. The project aims to identify the optimal locations for deploying UAS to promptly respond to highway incidents and natural disasters, taking into account all important factors that can impact the optimality of UAS locations. The researchers have created a generic analysis procedure that can be applied to evaluate potential UAS location plans. The third presentation focuses on the integrated use of data from UAS and from laser scanning to create immersive 3D and Virtual Reality (VR) models of public infrastructure, which can help with facility inspection and monitoring. In this presentation, aerial and laser scanned data from the Waterbury Bus Maintenance and Storage Facility in Watertown, Connecticut will be utilized to generate VR-based immersive visualizations. The presentation will include the methodology and protocols involved in the generation of VR models, the visualization itself using VR equipment, as well as its potential usage for stakeholders in decision-making and planning. Groups in Springfield and Worcester each received national, competitive grants this year to include consumers in planning transportation services. Each initiative used different strategies to engage older adults, individuals with disabilities, and other groups that have traditionally been left out of transportation decision-making processes. Learn about each project, its outcomes, and lessons learned. Three presentations will highlight the development, installation, and implementation of adaptive traffic signal systems to increase efficiency and improve the operation of existing roadways. The first presentation discusses a project that has installed an adaptive traffic signal system in Burlington, Massachusetts, at 27 signalized intersections along Burlington Mall Road, Cambridge Street, and the Middlesex Turnpike. The upgraded system provides enhanced capabilities to adapt to seasonal increases in traffic flow accessing the Burlington Mall, adjust timings to accommodate traffic volume surges due to events on I-95 nearby, and to minimize disruptions to normal signal operation resulting from emergency vehicle passage as they service Lahey Clinic and the two fire stations located within the project area. A live demonstration of the traffic management software will also be shown. The second presentation highlights an innovative public-private partnership between the City of Quincy and Ocean State Signal to bring the City’s traffic signal technology up to a modern standard and implement adaptive traffic signal system technology at more than 20 intersections along key corridors. The final presentation will focus on an innovative adaptive control method called Self-Organizing Traffic Signals. This method retains the essential features of fully actuated control, supplemented by new switching rules that organically lead to coordination and can reduce traffic delays and may offer significant decreases in delay for transit vehicles. The state of Massachusetts maintained 482 structurally deficient bridges in 2017 (FHWA 2017). Corrosion of steel girder ends is a prevalent problem, due to chemical substances which are employed seasonally to winterize the road. These substances, due to leaking bridge joints, result in section loss at beam ends, significantly reducing the bearing capacity of the bridges. Extensive thickness reduction can potentially result in load posting recommendations. This study investigates the effect of beam end corrosion on the capacity of steel girder bridges, and aims to develop a new procedure to accurately evaluate their remaining strength. The first part of this research is initiated by collecting data from MassDOT inspection reports. The most common shapes and locations of corrosion topologies are identified and quantified, making use of inspection reports across the state of Massachusetts. Second, loading tests are performed on six full-scale beams with natural corrosion obtained from bridges undergoing deconstruction. The effects of initial deformation, web and flange holes are investigated. The ultimate strength and post buckling behavior of the system are presented. Numerical models are developed and calibrated using the experimental data. Finally, new procedures, which could be incorporated in the Massachusetts Bridge Manual, may also be useful for DOT engineers nationwide. The City of Cambridge undertook the South Massachusetts Avenue Corridor Safety Improvements project in 2017, with the goal of improving overall safety for users and supporting sustainable transportation through “quick-build” methods. The City and design team evaluated existing conditions and worked to develop low-cost and highly-effective design solutions to increase safety and support walking, bicycling, and transit along one of Cambridge’s busiest corridors. With input from the community and the stakeholders, the team created a low-cost design involving multiple quick-build design elements that offered flexible implementation as well as the possibility for future modifications. The design incorporated restriping pavement markings, signal re-phasing with protected/separate turning movements, additional signage, installation of flexible delineators, separated bicycle lanes, an additional crosswalk, accessible parking spaces and on-street parking, and the City’s second bus priority lane. Through these modifications, the City produced not only an affordable solution, but one that improves the safety and comfort of sustainable transportation. The project was implemented in late fall 2018. Presenters: Christopher Balerna, Senior Project Manager, Kleinfelder Inc.
MassDOT GIS Services has released the Road Inventory Submission Application (RISA), a tool designed to replace existing methods of updating the Road Inventory File with a modern, web-based interface. RISA will allow local and regional governments to add roads and suggest changes directly to the MassDOT Road Inventory File, a GIS product used to assess municipal Chapter 90 disbursements. MassDOT, MassDEP, ACEC and CIM have partnered to provide statewide environmental training for consultants, contractors and public servants. The purpose of this training is to improve environmental stewardship on Highway Division projects through design, selection and implementation of stormwater Best Management Practices. The session will provide an overview of the material provided in the training, with focus on particular issues and challenges that have emerged during the development and implementation of this training. Panel members will share their unique perspective on these challenges and discuss opportunities to improve environmental compliance on construction projects statewide. Any attendee who is specifically interested in mobility for older adults, people with disabilities, and/or low-income individuals is invited to the Mobility Management Networking Lunch! Connect informally with peers in a smaller setting. Meet a potential collaborator or compare notes with a peer from another region. Bring your business cards! Transportation is one of the “social determinants of health:” the social, economic, and environmental factors that affect health. Learn about examples of partnerships between public health and transportation that are underway in Massachusetts to reduce barriers to healthcare. First, hear from two Community Health Network Area (CHNA) coalitions that have identified transportation as a priority. The CHNAs from the Blue Hills and North Central regions will each discuss why they see transportation as a health issue and how they are addressing it through multi-sector collaboration. Then, learn about an innovative effort from rural Central Mass to help physicians understand the role of transportation in healthcare – by incorporating transportation experiences into the medical school curriculum. By the end of 2019, the MassDOT/MBTA Rail Vision will describe a commuter rail system that more effectively serves the future Boston Region. Planning for an uncertain future over a vast established network of commuter rail lines, spanning 388 route miles and almost 150 stations, requires creative thinking, regarding what kind of service is explored and how performance is measured. Rail Vision is conducting this analysis through two tiers– one using sketch tools and a second tier using traditional models (CTPS Travel Demand Model and Rail Traffic Controller). This presentation will focus on what has been learned from the first tier, where sketch-level modeling tools were applied to quickly and easily model performance of different service concepts, to understand how they affect key metrics, including ridership and operational feasibility, at a high-level. These tools – ATTUne for rail operations, the Regional Dynamic Model for ridership, and an Operating Costs model – informed decisions about which types of concepts work best for this region, helping narrow the options from over 65 service concepts to 7 alternatives in a short timeframe. While roadway viaducts, bridges, and overpasses are commonly found in cities, at times even occupying large areas, the spaces below them often create undesirable public realm experience and impacts on pedestrian and bicycle networks. Some past attempts at creating public realm improvements under viaducts have suffered, due to a lack of design and planning integration with basic maintenance and repair requirements for the viaduct structure above. This presentation will focus on design innovations to the spaces under roadway viaducts developed through two projects, one that was recently completed, and another in the preliminary design phase: MassDOT's Underground at Ink Block, and the community-led concept design process for Charlesgate park under the Bowker Overpass, both in Boston. These projects show, that when included early in the integrative design process, these types of spaces can become mobility and public space assets, and potentially even facilitate maintenance and repair for the viaduct structures. Both projects also incorporate green storm water infrastructure where possible, improving water quality while also creating a more aesthetically pleasing environment. The presentation will outline observations and lessons learned, in terms of how the design team considered bridge maintenance and repair from the outset, green storm water management opportunities, and partnerships with local private actors and community groups to ensure viable and sustainable activation and maintenance of the under-viaduct spaces. Every town in the Greater Boston Metro area struggles with traffic. Traffic congestion affects quality of life, has economic impacts in lost productivity, and contributes to climate change. On a local level, traffic congestion is often used as a basis for opposition to new development. A 2018 study by Einstein, Palmer, and Glick of Boston University, found that the most cited reason for opposition to new development is traffic. As much as the problem will show up as a municipal concern, most towns lack the means, expertise, and influence to deal with this regional scale problem, and the issue is often passed on as one to move up the chain (i.e. to the state or federal level). Despite the ostensible size mismatch there are significant opportunities for towns to help address both the local and regional problem. The Town of Weston has been collaborating with other towns, regional/state/federal agencies, and other transportation experts and providers on a practical set of solutions, and will share its initial findings on Transportation Best Practices where a municipality (Weston) can mitigate traffic issues and help improve transportation locally and regionally. The panel will introduce three distinct existing and/or emerging applications designed, in whole or in part, to address accessibility barriers. Applications to be discussed include: the BlindWays App, which uses crowdsourcing to provide blind/low vision users with detailed directions to bus stops; the MBTA Trip Planner, in which the T and Google Maps partnered to provided heightened accessibility information about all MBTA stops; and AccessMBTA, which will be piloted this spring, and which uses Bluetooth beacon technology to convert text-based travel information on station advertising screens into audio. The session will also cover the importance of user testing in ensuring such emerging technologies are accessible to all. The panel for this session will describe the efforts behind creating the nation’s first, integrated State Hazard Mitigation Climate Adaptation Plan (SHMCAP) and the development of statewide climate change projections, including MassDOT’s/EOEEA’s efforts to standardize sea level rise and storm surge data along the Massachusetts coastline for use by state agencies, municipalities, and private stakeholders. An overview of MassDOT’s actions contained in the SHMCAP will be provided, including those that affect design standards and guidelines. This session will further present the City of Boston’s Climate Ready Boston initiative and the steps the City is taking towards implementation, including the Public Works Department’s recently released “Climate Resilient Design Standards & Guidelines for Protection of Public Rights-of-Way”. Julie Eaton, Weston & Sampson, Inc.
On-demand ride-hailing platforms like Uber and Lyft are helping to improve mobility, but can be challenging to use for those unfamiliar with or not in possession of the necessary smartphone technology. This session will feature a presentation from TRIPPS, a transportation resource for older adults based in Brookline, that developed a curriculum to teach seniors how to use Uber and Lyft. We'll hear from GoGoGrandparent, a company that requests and monitors transportation network company (TNC) rides for older adults who do not have access to a smart phone. And Lyft will demo their "concierge" product, a tool used by transit agencies and organizations to schedule and dispatch rides for consumers. General information about organizations partnering with TNCs to serve older adults, people with disabilities, and low-income individuals will also be included. The first presentation will focus on the accessibility of the MBTA system and the MBTA’s Plan for Accessible Transportation Infrastructure (PATI), a part of its long-range strategy to achieve a fully accessible system. To support that goal, the MBTA collected accessibility data at 7,690 bus stops and 177 rail stations throughout its service area. The presentation will discuss the planning and design process that went into this substantial data collection undertaking, the data scoring, and the establishing of priorities for future improvements. The presenters will also share lessons learned about survey and scoring design, personnel selection and training, and quality control. The second presentation will highlight an ongoing MassDOT project examining the use of LiDAR as a tool to support efficient inventory updates and condition assessments of pedestrian infrastructure under MassDOT’s jurisdiction. Focusing on the State Route 9 corridor, the immediate scope of this study is to collect and process data with a mobile-LiDAR system, to verify and update the existing MassDOT’s sidewalk inventory data, and to incorporate physical condition information into the inventory geodatabase. It is anticipated that the outcome will provide MassDOT’s Highway Division with accurate information from which to prioritize sidewalk infrastructure maintenance and construction programs. Matt von Wahlde, Geonetics, Inc. This session will focus on recent improvements to the MassDOT Highway Division’s project delivery process including: early project coordination and scoping, how they are leveraging technology and lessons learned from the use of MapIT and Bluebeam, how they are using metrics to drive performance, and tips for municipalities for managing STIP projects, and upcoming initiatives. Reach Your Target Market at the Largest Transportation Innovation Conference in Massachusetts! After the success of last year’s Complete Street replica, this year’s conference will again have a Complete Street display featuring a Roundabout! The Complete Street Roundabout will include bicycle and traffic signals, crosswalks, protected bike lanes, dedicated bus lanes, electric scooters and bikes, drones and more!There will be live demonstrations throughout the day showcasing drones, electric chainsaws, ADA sidewalk inspection and construction, the MassTrails manual, just to name a few. Come demonstrate your innovative equipment in our to-scale replica of a Roundabout! This unique opportunity will provide attendees and prospective customers alike to see your equipment in full operation. All Sponsors and Exhibitors will be located on the first floor along the street. Gold Sponsors have the chance to create and show off their company by creating their own parklet on the street! Show off your equipment to over 1000 professionals who attend the event. The annual MassDOT Transportation Innovation Conference attracts transportation professionals from all over New England who are seeking the latest information on innovative technologies, designs and practices. This combined event will be an invaluable opportunity for state, MPO/local, transit agencies, researchers, human service agency staff, advocates, planners, and private sector practitioners to share ideas, sponsor peer-to-peer learning, and collaborate on issues of mutual interest. The conference runs from 7:30AM to 4:00PM on April 9 & 10, 2019. FOR-PROFIT Fees include an exhibit booth and one complimentary conference registration, continental breakfast, lunch and breaks. Exhibitor assistants must pre-register online at $150.00 each. Includes an exhibit booth. Each agency attendee must pre-register online for the conference at $150.00 each. Non-Profit agencies interested in being a sponsor must pay regular sponsor fees. Includes an exhibit booth. Each agency attendee must pre-register online for the conference at $75.00 each. Government agencies interested in being a sponsor must pay regular sponsor fees. Online registration is now available. Click on the "Sponsor Fees" tab at the top of the page. Registration forms can also be emailed to donnelly@umass.edu. Questions can be directed to Kathryn Donnelly at the UMass Transportation One Center - (413) 230-6791. Proposed first floor layout. More details coming soon! Booth choice will be given to Gold Level Sponsors first, then Silver, then Bronze, then Exhibitors in order of paid registrations. • Additional chairs are available on request, depending on the number of attendees that your organization registers. • Indicate any special considerations and requests, including electrical outlets. Exhibitors/Sponsors will be required to pay for any exhibit-specific audiovisual equipment, such as a table-top or free-standing TV-VCR. 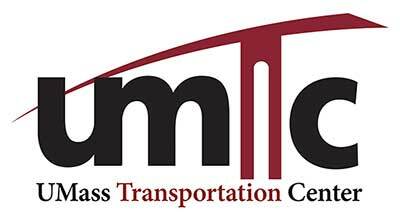 Please contact the UMTC at 413-545-2604, for specific equipment costs. Exhibitors can SET UP on April 8 - 11:00am to 4:00pm and on April 9 between 6:00am and 7:30am. Exhibitors MUST enter through Door 4 on Major Taylor Blvd. prior to show hours. Dismantling of exhibits may not occur prior to 4:30pm on April 10, 2019. The Convention Center has 100,310 square feet of exhibit space, 23,636 square feet in 11 meeting rooms, and a 12,144 square foot ballroom, (the largest in Central Massachusetts). The DCU Center is designed and sized specifically for the professional fulfillment, comfort and budget of small to large-sized conventions, meetings, social events and trade shows. The DCU Center's street address is 50 Foster Street, Worcester, MA 01608. Please see the below directions to help you find us from your location. Sterling; Leominster; and Fitchburg: Take Rt. 12 S. to Rt. 190 S. to Rt. 290 W. Get off at Exit 18. Follow signs to the DCU Center. Nashua, NH and Manchester, NH: Take Rt. 3 S. to Rt. 495 S. to Rt. 290 W. Get off at Exit 18. Follow signs to the DCU Center. Marlborough; Lowell; Lawrence; Haverhill; and Portsmouth, NH: Take Rt. 495 S. Get off at Exit 25B. Take Rt. 290 W. Get off at Exit 18. Follow signs to the DCU Center. Lincoln; Salem; and Concord: Take Rt. 95 S (Rt. 128 S) to I- 90 W (the Mass Turnpike West) to Rt. 495 N. Get off at Exit 25B. Take Rt. 290 W. Get off at Exit 18. Follow signs to the DCU Center. Wellesley; Newton; Cambridge; and Boston: Take I-90W (Mass Turnpike West) to Rt. 495-N to Rt. 290-W. Get off at Exit 18. Follow signs to the DCU Center. Framingham; Natick; Westborough; and Shrewsbury: Take Rt. 9 W all the way into Worcester. When you get to the Worcester line, "White City Shopping Center" will be on the left. Stay on Rt. 9 and proceed to your 8th set of lights. Take a left onto Major Taylor Blvd. At the 4th set of lights, the DCU Center is on your right. Uxbridge; Woonsocket, RI; Pawtucket, RI; Providence, RI; and Warwick, RI: Take Rt. 146 N to Rt. 290 E. Get off at Exit 16. Take a left at the end of the ramp. At the 3rd set of lights (Major Taylor Blvd. ), the DCU Center is on your left. Taunton; Attleboro; and Foxboro: Take Rt. 495-N to Rt. 290-W. Get off at Exit 18. Follow signs to the DCU Center. Falmouth, Hyannis, Provincetown: Take Rt. 6 W to Rt. 28 S towards Providence, merge onto Rt. 25 W and stay straight onto Rt. 495 N to Rt. 290-W. Get off at Exit 18. Follow signs to the DCU Center. Norwood, Brockton; and Quincy: Take Rt. 95 N (Rt. 128 N) to I-90 W (the Mass Turnpike West) to Rt. 495 N to Rt. 290-W. Get off at Exit 18. Follow signs to the DCU Center. Webster; Putman, CT; Plainfield, CT; Norwich, CT; and New London, CT: Take Rt. 395 N. to Rt. 290 E. Get off at Exit 16. Take a left at the end of the ramp. At the 3rd set of lights (Major Taylor Blvd. ), the DCU Center is on your left. Sturbridge; Southbridge; Harford, CT; and New York, NY: Take I-90 E. (the Mass Turnpike East) to Exit 10 (Auburn). After the tollbooth, bear left at the fork. Take Rt. 290 E. Get off at Exit 16. Take a left at the bottom of the ramp (there is a light). At the 3rd set of lights (Major Taylor Blvd. ), the DCU Center is on your left. Barre; Athol; Orange; Greenfield; and Brattleboro, VT: Take Rt. 122 S., remaining on until you reach Worcester. Rt. 122 S becomes Pleasant Street. Stay straight Pleasant Street. Tun left onto Main Street. Turn right onto Foster Street. Follow Foster Street until you see the DCU Center on your left. Take Rt. 95 N to Rt. 146 N to Rt. 290 E. Get off at Exit 16. Take a left at the end of the ramp. At the 3rd set of lights (Major Taylor Blvd. ), the DCU Center is on your left. The MBTA commuter rail can be taken to Union Station, 34 Washington Square in Worcester. Union Station is located less than half a mile from the DCU enter. To walk from Union Station to the DCU Center, take a left upon exiting the station. Then, take a right onto Foster Street and follow Foster Street for about .2 miles. Once you've passed St. Vincent Hospital (on your right), cross the street to the DCU Center plaza. The Arena Box Office entrance will be directly in front of you. To enter the Convention Center, bear right down the plaza to Door #2, or Door #1 (revolving doors) on Major Taylor Blvd.For commuter rail fares and schedules to and from Worcester, please visit the Massachusetts Bay Transportation Authority (MBTA) at www.mbta.com or by calling 617-222-5000. To schedule paratransit trips please call 508.791.WRTA option 3. Don't forget to schedule your return trip. Parking at Union Station? The WRTA has several bus routes that will take you by the DCU Center. Routes 3, 23, 24, 26, 30 and 31. For more information visit the WRTA website. Aaron Advanced Drainage Systems, Inc.
James Felix A. Marino Co., Inc.
Jason United Concrete Products, Inc.
Taylor Royal Truck & Equipment, Inc.
Fred Royal Truck & Equipment, Inc.
Camilla Kittelson & Associates, Inc.
Scott Horizon Signal Technologies, Inc.
Mike Ocean State Signal Co.
Joe A. R. Belli, Inc.
Jane Environmental Partners Group, Inc.
Sandra A. R. Belli, Inc.
Robert Felix A. Marino Co., Inc.
Bob Felix A. Marino Co., Inc.
Bill A. R. Belli, Inc.
Jason A. R. Belli, Inc.
Margaret Kittelson & Associates, Inc.
David Horizon Signal Technologies, Inc.
Connor Advanced Drainage Systems, Inc.
Darren McClain & Co., Inc.
Dana Fifield Electric Bikes, Inc.
Tim SPS New England, Inc.
Paul Felix A. Marino Co., Inc.
John Advanced Drainage Systems, Inc.
Cassandra Environmental Partners Group, Inc.
Laura Environmental Partners Group, Inc.
Noelle Center for Living & Working, Inc.
Mike Center for Living & Working, Inc.
Stephen Center for Living & Working, Inc.
Jason Environmental Partners Group, Inc.